When Mai was thirteen she was kidnapped from the docks in VIetman. For the last three years she has been a slave, working long hours in the kitchen of a Chinese restaurant in the United States, sleeping six in a room. She dreams of escaping, but caan that ever happen? Noir at the Salad Bar is what the title of this book promises. Ms. Togneri brings the noir very well. "The Bubble," by Jennifer Harlow, in Atlanta Noir, edited by Tayari Jones, Akashic Press, 2017. 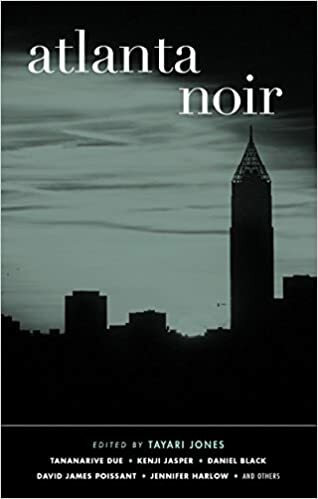 I have started reading the Akashic Press Noir City volumes for 2017, so it must be time for my annual rant: Noir does not mean gloomy. Noir fiction must involve crime or the threat of crime. Okay? That's essential, but we can expand. Ideally, noir involves this: A nobody tries to become somebody. For this effrontery they are curb stomped by the universe. Crime in involved. Often the nobody is led to disaster by a love/lust interest. Jennifer Harlow certainly understands all of that. Her story involves not only noir but another French term: femme fatale. That would be Maddie, a teenager in Peachtree City, who is sick to death of her privileged life among snobs, absentee parents, and the self-medicated. She decides to commit murder, just for excitement, and power, and, let's face it, because she is evil. But she isn't working alone. Her reluctant partner in crime is Emma, who is not as smart, not as pretty, and desperately in love with Maddie. Is Maddie willing to use her sexuality to manipulate Emma into crime? Oh, yes. Does our tale of thrill killers meet the definition of classic noir? To some degree that depends on whether you think Emma has interpreted events correctly. I'll let you decide. But I'll tell you for free that it's a very good story. "Sleeping Beauty," by Gerald Elias. "Sleeping Beauty" by Gerald Elias, in Noir at the Salad Bar, edited by Verena Rose, Harriette Sacker, and Shawn Reilly Simmons, Level Best Books, 2017. A long way from noir, but an interesting piece of work. 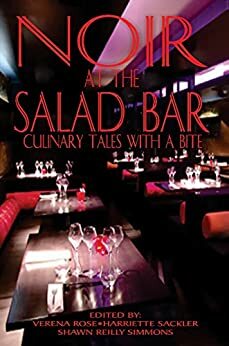 The nameless narrator is a classical musician and, while eating at an elegant restaurant in Manhattan, he witnesses a woman attacking a waitress for no obvious reason. It turns out that she is a former star ballerina. By coincidence, our narrator meets the ballerina a few years later and learns the reason for the attack. This is a subtle little story, more about nuance and emotion than action, which seems somehow fitting for the professions involved. "Smoked," by Michael Bracken, in Noir at the Salad Bar, eidte by Verena Rose, Harriette Sacker, and SHawn Reilly Simmons, Level Best Books, 2017. This is Bracken's fourth appearance in this space, which puts him in the top five repeat offenders, I believe. The story takes place in modern Texas but it has the feeling of an old-fashioned Western, with the bad guys getting closer and the townsfolk having to decide where they stand. A good story.